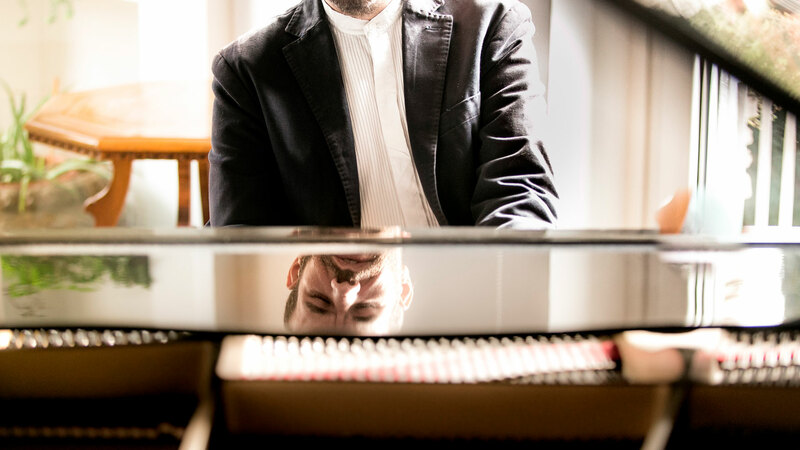 Pianist and composer, Yakir Arbib is an internationally acclaimed improviser hailed by the press as “the king of improvisation”. Yakir tours the world inspiring crowds with his virtuosity on the piano and his own original blending of classical music and jazz. Born with perfect pitch and Synesthesia (a blending of the senses), Arbib possesses the ability to create entire musical compositions on the spot – without any prior preparation. The show when I was there was stolen by a ten minute solo performance from Yakir Arbib – powerful and energetic and full of references and musical statements… for once the noisy audience stopped talking and listened. I never heard something like this before. Remarkable improvisation from a pair of musicians with an almost telepathic connection. Two players worth keeping an eye on, individually and collectively. Arbib is not limited to jazz pursuits and has been proving himself to be a classical composer of striking potential.